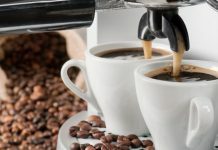 When most people think of coffee carafes, they only think about the one that’s on their particular coffee machine or that comes with the coffee machine they’re thinking of purchasing. Although it is important to consider your model’s carafe, especially when you need a replacement, there’s more to these containers than most people think. 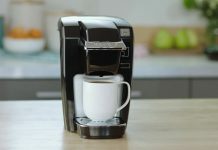 There are models designed for everything from storing to serving coffee, so it might be worth talking about this subject a little bit so everyone can become familiar with them. We’ve gone out and discovered some of the best models available and have listed them below. Not only that, but we’ve also written a guide which will serve as an introduction to the wonderful world of carafes for coffee, so let’s not waste any more time with formalities. Let’s jump right into it and learn a little bit about these containers. This fascinating carafe not only has a 1-quart capacity, so it can hold up to 32-ounces of coffee, but it will keep that coffee hot for up to 8-hours at a time. It’s able to do this because it has a vacuum glass liner inside it, much like a thermos has, that keeps hot liquids hot and cold liquids cold. However, this also means that the carafe has to be charged with warm water before use because adding hot coffee to a cold carafe can cause the lining to crack. Its lid is also airtight but can be difficult to open at times. Having stated those facts, however, this carafe is still worth checking out. Any carafe will keep coffee hot, but few will do it with the same style as this Emsa Eleganza model. It’s manufactured using 18/10 stainless steel and has a hinged lid for convenience. It’s easy to use and pour with just one hand and holds up to 34-ounces of coffee. Although the carafe is listed as being dishwasher safe, it does have an insulating ring that will melt in many dishwashers. Having stated that fact, however, this model will keep coffee hot for up to 9-hours and its design makes it virtually unbreakable. These innovative serving carafes are manufactured in Japan and have a sleek design that fits in with anyone’s home decor. They are made with a glass liner that helps to keep the coffee in the hot for long periods of time. This product can be used to serve coffee, or the coffee lover can place their own coffee filter cone on it and use it to make pour-over coffee drinks. All of which makes it useful for home or office use. This inexpensive coffee carafe not only is made from stainless steel and is capable of holding up to 68-ounces of coffee, but it’s also capable of keeping that coffee piping hot for up to 12-hours at a time. It does this thanks to its double wall stainless steel interior and exterior that keeps the coffee from getting cold. 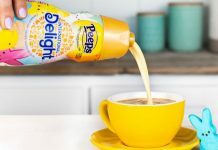 This product is also easy to pour and can be used with just one hand, although it should be said that the lid can sometimes be difficult to thoroughly clean. 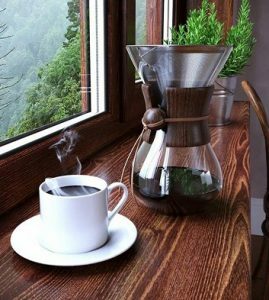 This pour-over coffee carafe not only has a sleek design, but it also works quite well. When equipped with an appropriately sized filter, it can be used to brew pour-over coffee or can simply be used as a serving carafe. Its glass body helps prevent heat loss, and it’s made to be easy to clean. It’s even dishwasher safe. And although it only holds 20-ounces of coffee, that’s more than enough for 1 to 2 people. This 68-ounce stainless steel carafe is able to keep coffee warm for up to 12-hours at a time. It’s also lightweight and fairly easy to use. Although its pour spout is a little smaller than we would have liked, this unit is still fairly easy to pour. And it’s sleek design allows it to be used in just about anyone’s home or given as a fantastic gift for that favorite coffee lover in your life. Anyone who owns a Mr. Coffee coffee maker is probably going to want to keep their eye out for a replacement carafe. And this is a replacement for many Mr. Coffee models including the JWX, AMX, SJX models, as well as the MV, DW, CG, SK, VB and EHX models. It holds 12-cups of coffee and has clear cup marking on its outside surface. It’s available with either black or white plastic trim to match the user’s Mr. Coffee coffee maker. This heavy duty carafe keeps coffee hot for so long, it’s almost unfair to refer to it as merely a carafe. Instead, it seems more like a thermos and does, in fact, owe its ability to keep coffee hot for up to 12-hours to its vacuum insulated design. This carafe has been lab-tested for the best results, is easy to pour, and can be used with one hand. And it even comes with a cleaning brush for easy cleanup. Designed by German engineers, this coffee carafe is ready to hold and serve anyone’s coffee with style. It’s made out of vacuum insulated stainless steel which holds coffee hot for up to 12-hours and it is made without using BPA. It has an easy to pour handle with a push button and is ergonomically designed for comfort. Although the top can’t be removed, the unit is still fairly easy to clean by rinsing it out with hot water after use. This 1-quart cold brew carafe is designed for making iced coffee at home. It’s made with a durable glass that’s dishwasher safe and is also leakproof. This carafe is also BPA free and has an airtight silicone sealer that can be used to keep the cold coffee fresh. Although it’s designed for cold brews, it can also be used for hot coffee or can be used for both hot or cold tea. And it’s just the right size it fits on kitchen shelves or in the refrigerator, so coffee fans can always enjoy a cup of cold coffee. Writing this guide, we wanted to create something that was inclusive and would include not only those people looking for information about their coffee machine’s carafe but also for those who may be interested in buying a stand-alone carafe. Hopefully, you’ll find the information you need to get the most out of your carafe—regardless of whether it’s a vacuum sealed one, a thermal one, a glass one or a stainless steel one. Modern coffee machines, both personal or commercial models, come with either a glass or a thermal carafe. And both of these models are decent, but each of them has its own particular set of pros and cons. Let’s examine these differences a little bit closer. The next question we’re frequently asked is how to clean a coffee carafe. That’s a good question since carafes can get pretty funky after awhile. The oils and minerals that result from brewing a pot of coffee can really do a number on a coffee carafe, so it’s imperative they’re cleaned on a regular basis. However, not all carafes are created equally, so it’s important to clean your carafe in the right way for your particular carafe. After all, glass and stainless steel carafes need to be cleaned in different ways. An alternative to the above cleaning methods is to use baking soda and hydrogen peroxide. Below are the steps required to accomplish this task. The following method is a great way to clean a glass carafe with burnt coffee stains at the bottom of it. The table salt works as the abrasive as the ice pushes around the bottom of the carafe. Carafes can also be used to make a great pour over coffee. Below are the steps required to make this happen.